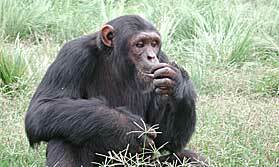 Mweya Safari Lodge is beautifully situated offering a grandstand view over the Kazinga Channel. The 46 rooms and suites, all with en suite bathrooms and private balconies, overlook either the Kazinga Channel or Lake Edward. The elegant, air-conditioned Kazinga Channel Restaurant serves international cuisine from an a Ã la carte menu or a buffet. There is often a barbecue on Saturday nights. There is a swimming pool to enjoy at the end of the day and a poolside bar. The lodge also has a shop selling toiletries, books and safari gear. Activities include launch cruises along the Kazinga Channel, game drives in the national park, nature walks, boat trips to the chimpanzee sanctuary on Izinga Island, chimpanzee tracking walks and bird-watching. Open: Mweya Safari Lodge is open all year. Location: Mweya Safari Lodge is on a peninsula surrounded by the Rwenzori Mountains in Queen Elizabeth National Park. It is near the Kazinga Channel which links Lake George and Lake Edward. The lodge has an airstrip. The flight from Entebbe is about an hour. Rooms: There are several categories of rooms and suites and larger cottages sleeping up to 4 people, ideal for family accommodation. All rooms have private balconies and views of the Kazinga Channel. All accommodation is en-suite. Facilities include a telephone, safe and fan. Deluxe rooms and suites are air conditioned. Suites also have separate sitting rooms. Those seeking luxury should opt for the Queens Cottage or Presidential Cottage, complete with large plasma screen TVs, living room and minibar. Activities: You can join a game drive in Queen Elizabeth National Park, take a boat cruise in the Kazinga Channel, go bird watching and enjoy a guided nature walk. 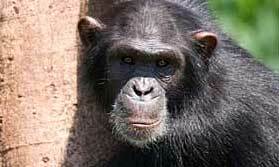 It is possible to go chimpanzee tracking, and to visit local villages and schools. The lodge can arrange bush breakfasts. Facilities: There is an infinity pool, pool bar and sundeck, a spa offering massage treatments and a gym. The dining room has a large outdoor deck, so you can chose to eat meals indoors or outside. The lodge serves local and international cuisines. The Tembo Bar has panoramic views of the channel and is the ideal place to enjoy a sundowner. You can shop for souvenirs, clothing and safari essentials in the shop. Children: Children of all ages are welcome. There are 2 family cottages.